P.K. Subban has challenged Prime Minister Justin Trudeau to release share a recording of him singing Jingle Bells and the prime minister has accepted. "Hey Justin Trudeau, I know you're a mastermind when it comes to politics and you have great hair, but can you sing?" Subban said in a video tweeted early Thursday morning from inside the Bell Centre, where he skates for the Montreal Canadiens. The #CanadaCarols campaign is an initiative by the P.K. 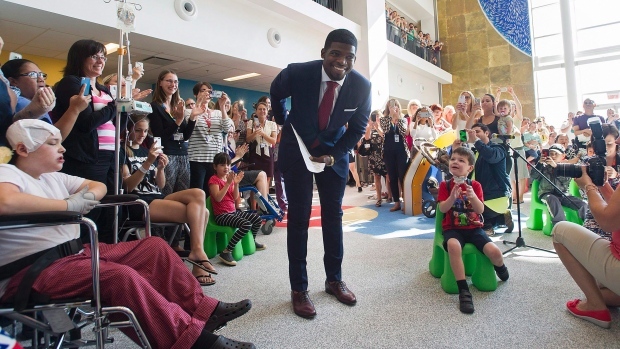 Subban Foundation, in partnership with the Air Canada Foundation, who are raising money for the Children's Miracle Network and the Montreal Children's Hospital. Among those who have responded by posting videos of themselves singing ‘Jingle Bells’ are CTV’s Canada AM hosts Marci Ien, Bev Thomson and Jeff Hutcheson. Here’s their version.